Other specs include 802.11 b/g/n WiFi, Bluetooth 4.2 and a 2150mAh battery. That battery may seem tiny by today’s standards but given the specs of this phone and the small 4.5″ screen, I suspect it will be plenty to get most people through the day. The Nokia 1 does have a headphone jack and is charged via the MicroUSB port. 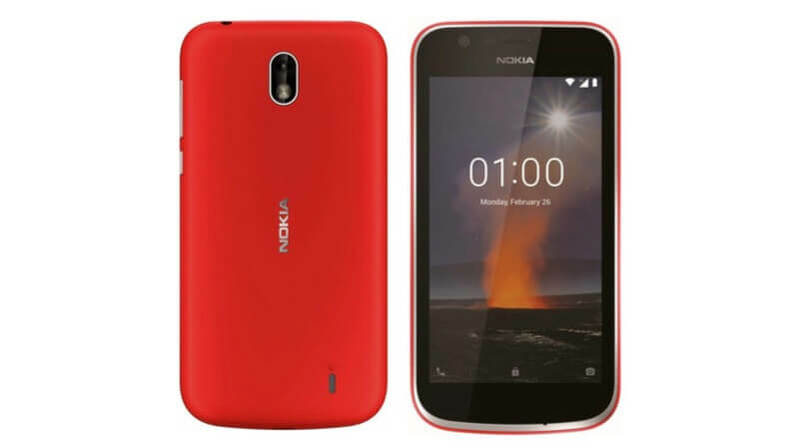 What is clear is that Nokia is aiming the 1 to be a serious contender in the Android Go phones that are coming to market. While the specs are already topped by the Alcatel 1X, for those that are looking for a sub-$100, this one will be a viable option.